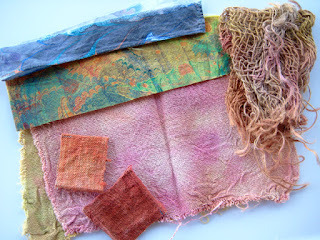 Another talented fiber artist and friend, Tone, has been exploring marbling fabric. I was lucky enough to be on the receiving end of some of her beautiful leftovers! Her work is amazing, check out her blog. Thank you Tone!